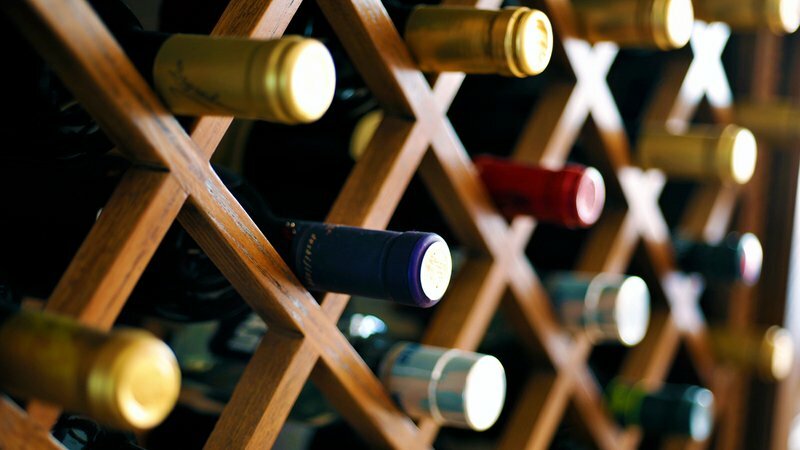 Wine Storage 101: 7 Basics You Need to Know - AccuTemp Refrigeration Inc.
First off, it’s useful to remember that only a small percentage of fine wines on the market benefit from long-term aging. Most wines are best enjoyed within a few years of release. If you’re looking to buy wines to mature, you should really consider investing in professional-grade storage—a totally different ballgame. Heat is enemy number one for wine. Temperatures higher than 70° F will age a wine more quickly than is usually desirable. And if it gets too much hotter, your wine may get “cooked,” resulting in flat aromas and flavors. The ideal temperature range is between 45° F and 65° F (and 55° F is often cited as close to perfect), though this isn’t an exact science. Don’t fret too much if your storage runs a couple degrees warmer, as long as you’re opening the bottles within a few years from their release. Keeping wines in your household refrigerator is fine for up to a couple months, but it’s not a good bet for the longer term. The average fridge temp falls well below 45° F to safely store perishable foods, and the lack of moisture could eventually dry out corks, which might allow air to seep into the bottles and damage the wine. Also, don’t keep your wine somewhere it could freeze (an unheated garage in winter, forgotten for hours in the freezer). If the liquid starts turning to ice, it could expand enough to push the cork out. Light, especially sunlight, can pose a potential problem for long-term storage. The sun’s UV rays can degrade and prematurely age wine. One of the reasons why vintners use colored glass bottles? They’re like sunglasses for wine. Light from household bulbs probably won’t damage the wine itself, but can fade your labels in the long run. Incandescent bulbs may be a bit safer than fluorescent bulbs, which do emit very small amounts of ultraviolet light. Conventional wisdom says that wines should be stored at an ideal humidity level of 70 percent. The theory goes that dry air will dry out the corks, which would let air into the bottle and spoil the wine. Yes, this does happen, but unless you live in a desert or in arctic conditions, it probably won’t happen to you. (Or if you’re laying down bottles for 10 or more years, but then we’re back to the matter of professional storage.) Anywhere between 50 percent and 80 percent humidity is considered safe, and placing a pan of water in your storage area can improve conditions. Conversely, extremely damp conditions can promote mold. This won’t affect a properly sealed wine, but can damage the labels. A dehumidifier can fix that. Traditionally, bottles have been stored on their sides in order to keep the liquid up against the cork, which theoretically should keep the cork from drying out. If you’re planning on drinking these bottles in the near- to mid-term, or if the bottles have alternative closures (screw caps, glass or plastic corks), this is not necessary. We will say this, however: Horizontal racking is a space-efficient way to store your bottles, and it definitely can’t harm your wines. So Where Should I Keep My Bottles? If you haven’t been blessed with a cool, not-too-damp basement that can double as a cellar, you can improvise with some simple racks in a safe place. Rule out your kitchen, laundry room or boiler room, where hot temperatures could affect your wines, and look for a location not directly in line with light pouring in from a window. You could also buy a small wine cooler and follow the same guidelines: If you keep your wine fridge in a cool place, it won’t have to work so hard, keeping your energy bill down. Perhaps there is a little-used closet or other vacant storage area that could be repurposed for storing wine? If you have a suitable dark, stable space that’s not too damp or dry, but it is too warm, you might consider investing in a standalone cooling unit specifically designed for wine. There are some inexpensive systems for small spaces, but in most cases, this is getting into professional wine storage. When is it time to upgrade your storage conditions? Ask yourself this: How much did you spend last year on your wine habit? If a $1,000 cooling unit represents less than 25 percent of your annual wine-buying budget, it’s time to think about it more carefully. Might as well protect your investment. If I Want to Buy a Wine Cooler, What Should I Look For? Wine coolers are, at their most basic, standalone units designed to maintain a consistent temperature—sometimes one suitable for serving rather than long-term storage—whereas a wine cellar is a cabinet or an entire room that stores wine in optimal conditions for long-term aging: a consistent temperature (about 55° F), with humidity control and some way to keep the wine away from light and vibration. Units vary in how much access you’ll have to your bottles, so consider both how well you’ll be able to see what’s inside, and how easy it will be to grab a bottle when you want it. Are the bottles stacked? Are there shelves that slide out? Consider the size and shape of the bottles you collect, and the way the bottles fit into the racks—are they very wide, tall or unusually shaped, if they’ll even fit at all? The door itself is something to ponder. Is it more important for you to see the bottles or protect them from light? Is the glass clear, tempered, tinted, double-paned or UV-resistant? Make sure the door opens on the correct side for where you’re placing it—not every unit has reversible doors. Some models have locks or even alarms. More expensive units may have multiple temperature zones, which is a nice feature if you want to keep your reds at one temperature and your whites at a cooler, more ready-to-drink temperature. Humidity controls are also helpful. Do your best to find a unit that is quiet—you’d be surprised just how loud the things can get. The more you spend, the better the materials should be, such as aluminum shelves that will conduct cool temperatures better than plastic ones, or a rough interior that will be better for humidity than a smooth one.